Queensway Avenue South, Queensway, St.
Coefficient of friction is also known as COF testing. 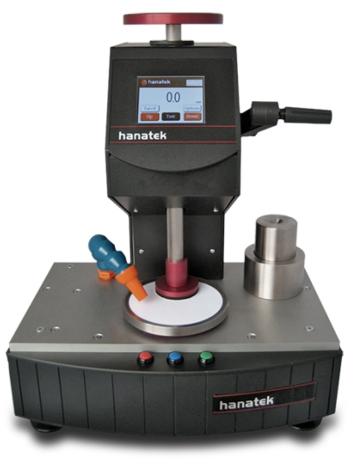 The Hanatek Advanced Friction Tester is the most comprehensive tool available for measuring the coefficient of friction of plastic film, printed cartons, packaging substrates or paper. 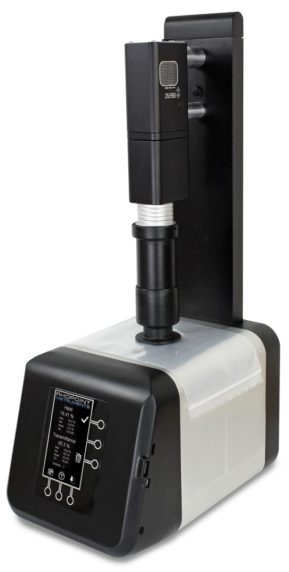 This flexible instrument can also be used to measure and display the frictional values of any flat surface including plastics textile, coated metals and leather. 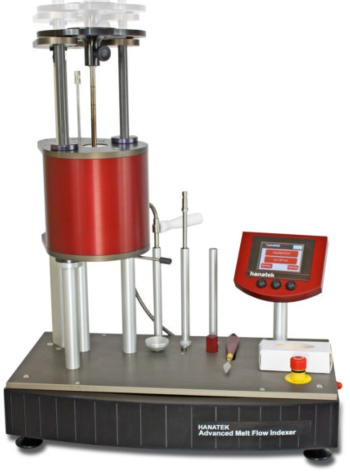 In addition to providing static and dynamic slip values for a surface, the instrument allows the full friction force output to be displayed, stored and compared. This unique ability helps a manufacturer to relate the feeding and running speeds of a product to its surface characteristics. By measuring the stiffness of the substrate and crease bending resistance the user can optimise cartons for faster running and packaging speeds. 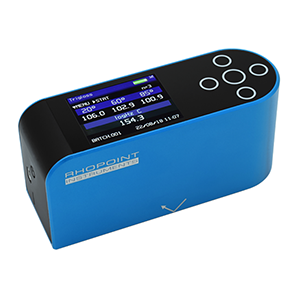 The instrument allows individual creases to be analysed identifying problem areas in packaging design or manufacture. Industry research indicates that the packaging speeds of pre-glued skillets is governed by the energy required to open creases. 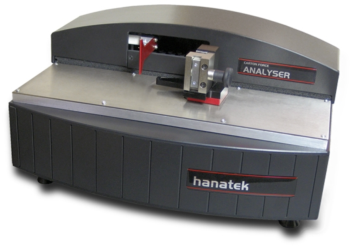 The Hanatek CFA is the first instrument to isolate and accurately measure this key parameter The instrument measures: Bending resistance, bending moment, board stiffness, crease recovery stiffness, crease folding force, crease opening force. 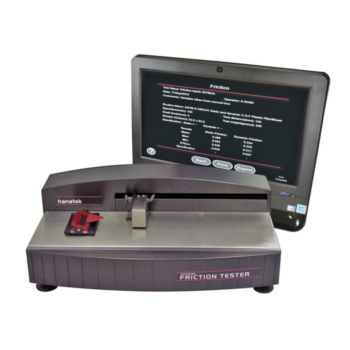 This precision friction tester provides detailed information of the slip characteristics of packaging material. Surface slip is a key factor when printing, erecting or filling packaging materials on an automatic line. Friction parameters help the manufacturer understand how the finish of a blown film or printed carton can influence the feeding and running speed. 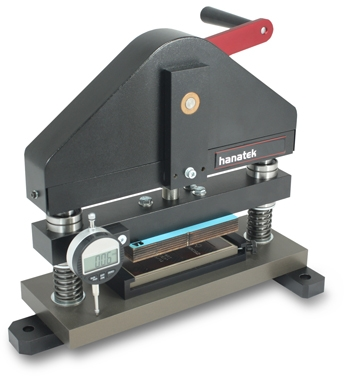 The Hanatek Carton Crease Proofer (CCP) allows the user to produce production quality crease samples without committing valuable machine time. The instrument can assist in checking ink and coating flexibility. 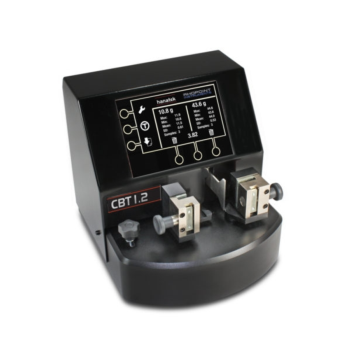 The CCP comes complete with commercially produced rules and dies which are identical to those used on a full sized cut and crease machine. 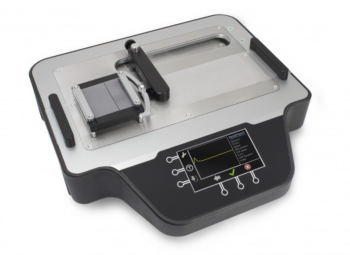 The instrument measures crease folding force at 90°, board stiffness at 15° and requires no external software for operation. 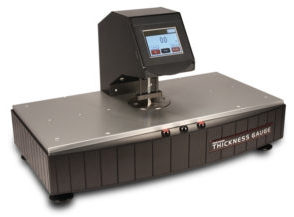 It automatically calculates the crease to board stiffness ratio for instant indication as to whether the material will run correctly on a high speed packaging machine. 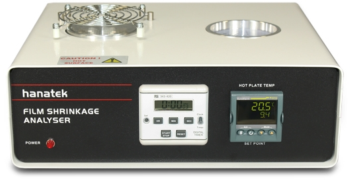 Fast and accurate measurement of the optical quality of plastic films and other transparent materials.This instrument measures total transmission and haze according to ASTM D1003 (CIE C), the most important standard used in most QA applications.Manufactured in direct response to industry requirements, the Novo-Haze TX is offered at huge savings compared to other instruments which contain additional superfluous test methods.The instrument features an intuitive user friendly interface which minimises the test time and makes it an ideal choice for both QC and R&D.Uncompromising design, high quality materials and European manufacture make the Novo-Haze TX the ideal choice for any laboratory or QA environment. 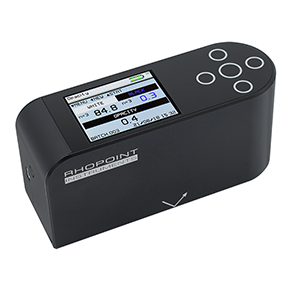 Precision Thickness Gauge is specifically designed to quickly and accurately measure the thickness of a variety of substrates including film, paper, board, foil, tissue and textiles.Operated via an intuitive touch screen interface the instrument will allow the user to define batch size, dwell time & measuring speed.Full test statistics can be easily viewed or printed to label for easy documentation control. This comparative test works by abrading a printed sample against a reference material under known conditions. The results can be used to identify alternative substrates, better ink and coating formulations or the suitability of finished cartons, films or printed books, magazines and promotional materials.